In a previous posting, I discussed how Retail IoT enabled stores are able to combine live shopper journey and product data with POS, loyalty, social media and other data sets. Also, how applying machine learning and Retail IoT enables real time insights that can transform the customer experience, enable customer centric merchandising and streamline operations. In this posting, I would like share my thoughts and experience on how Retail IoT can power bricks and mortar stores to compete in an omni-channel world by becoming hyper-relevant across all customer touchpoints. the exponential growth in the amount of shopper journeys: from research to purchase to fulfillment and customer support, the number of possible journeys has grown from 40 to a maze of more than 800 (Cisco) and further increases over time. the expanding number of data points (beyond spend and demographics) and the rapid change in consumer interests is making the traditional rules approach to data mining customers to be less and less meaningful. the increasing demand for seamless shopping with greater choices and lower prices across online, in-store, and mobile platforms, is creating a ‘digital divide’ between consumer expectations and retailers’ ability to deliver. If a sensor network represents our nervous system and a Deep Learning platform is our brain, then the part that manages retail processes from supply chain to merchandising and customer communications is similar to the way we engage and learn from the environment around us. 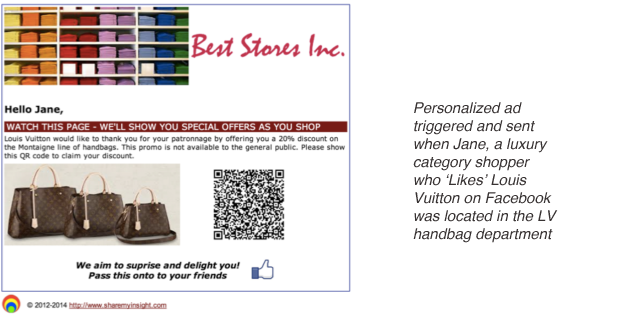 Retail sensor devices that act in a sensor fusion mode and live stream shopper and product data to cloud platforms. AI and Deep Learning: advances in GPU accelerated computing power enables Deep Learning algorithms to find patterns in large and disparate data sets and to transform data into insight. 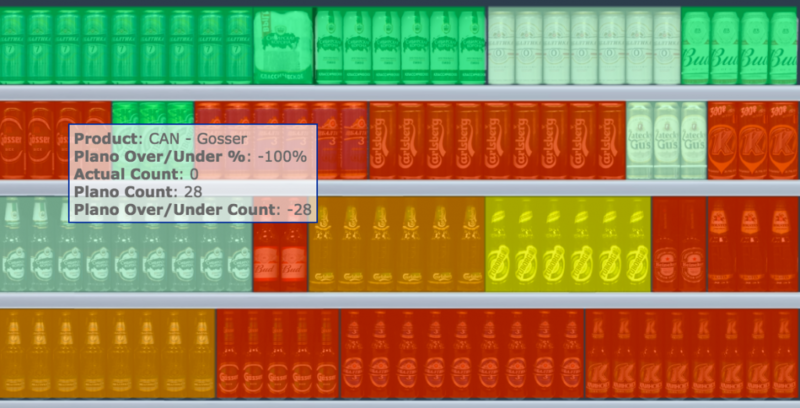 Store diagnostics can detect how product placement, brands, range assortment, pricing, personnel and store location affect shopper behavior and purchasing decisions. Dynamic, automated processes can trigger at key moments on the purchase decision path and engage customers on the preferred communication channel. A new evolution in CRM manages hyper-relevant and contextual customer interactions, delivers more efficient engagements and offers immediate customer savings. A connected retailer can realize productivity gains across a number business areas, from supply chain to merchandising to marketing activities; further, help resolve issues which retailers have been struggling with for a number of years. Retailers and FMCG partners have long known that incorrect product placements, poor shelf maintenance and out of stock conditions all contribute to significant losses in revenues. Retailers and FMCG tackle the problem by utilizing field marketing agencies to periodically check for compliance with the agreed range, shelf share in the product category, share of competitors’ shelf and price for each item. Noteworthy is that a typical category audit samples only 2% to 5% of all store locations at a frequency of 1 time per week or every other week. According to ECR when buyers can’t find the product they are looking for in its usual place, 9% of clients choose an alternative product, or do not make a purchase. Out of stock is estimated to cost a retailer approximately 4% of sales in lost revenues. In contrast, an IoT powered store with efficient, battery powered cameras that sends product images to the cloud for product recognition, can provide ongoing information on conditions and predict when shelves need replenishment. The ‘one size fits all’ planogram deployed across all stores fails to consider that consumers and their shopping behavior differs by point of sale and many other factors. Did moving the bakery section to the front of the store result in customers spending more time in the store? Did moving the wine section next to the cheese counter create more cross shopping between those 2 categories? Do we have just the right amount of sales people in the shoe department at peak shopping times and, if not, are we loosing sales? 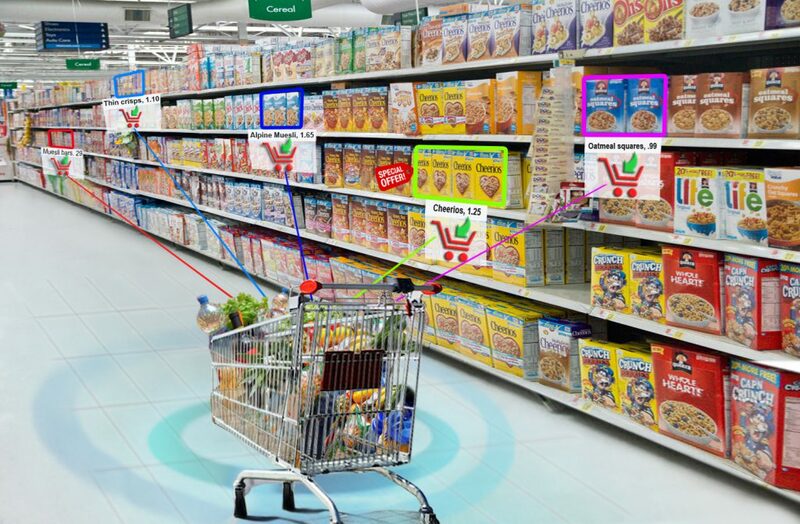 Sensor fusion and Deep Learning can provide a level of diagnostics and insights that uncover which variables are working together to influence how shoppers make purchasing decisions. Further, suggest planograms and product assortments that target shopper preferences during their shopping journey, as well as optimizing pricing strategies and forecasting demand for better customer service. By continuously detecting shopper journeys across merchandise zones and applying learning algorithms, analytics can pinpoint areas of assortment optimization, range localization and better product visibility, resulting in a shopper journey based store layout with improved shopping metrics and return on every square meter of shopping area. Influencing customers by getting inside their minds during the purchase journey represents an ongoing challenge for marketers. Within current means, marketing department personnel supervise opportunities for engaging customers and create targeted marketing campaigns based on their best judgment. In addition, use communication channels that are unable to reach the customer at the moment of making a purchase decision. These types of limitations mean, for example, that a wine offer may reach a customer only after a shopping trip and when home drinking wine at dinner. However, Retail IoT stores are powered by Deep Learning analytics and are in a position to deliver real time savings during the shopping lifecycle. Deep Learning is the engine that provides hyper contextual and relevant interactions exactly at the right moment, thereby adding a layer of efficiency that is highly valued by the consumer. By testing and deploying Retail IoT and Deep Learning for bricks and mortar stores, retailers are able to evolve their business in a challenging new environment. Getting it right entails knowing your customers in a much different way than ever before, meeting their expectations as they change over time and becoming hyper-relevant across all touch points. Intrinsic to success is becoming more cost efficient on all operations and finding the right balance between pricing, product assortment and customer services – all of which depends on a digitalized physical environment capable of detecting and adapting to conditions as they change. As the CEO and principal architect at ShareMyInsight (SMI), I have been involved over the past 10 years in developing proprietary technologies and applications for big data analytics and statistical models on consumer behavior. In the last few years I have seen retailers increasingly struggle to create meaningful and relevant customer engagements, largely due to traditional statistical methods that are becoming obsolete. I believe that sensor fusion and Deep Learning technologies are now ready to replace traditional rule based models, enabling a new type of shopping experience that will benefit consumers, brands and retailers. My current focus is on the design to production cycle of a variety of in-store sensors that live stream data to the SMI machine learning platform for detecting, identifying and putting into action information for store operations, merchandising, marketing and customer communications.